Cindy, who has worked for Advantage Credit for over 12 years, manages several accounts with mortgage banking clients such as VIP Mortgage, CNN Mortgage and Sunstreet Mortgage. She has earned widespread praise for her stellar service, her industry insights and her skill at problem-solving, troubleshooting and strategizing. 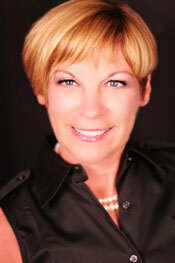 A popular speaker, Cindy regularly presents credit seminars for, and serves on panels involving mortgage professionals. She’s a skilled networker who interacts often with her large professional database of lenders and loan officers, and is an active member of The Arizona Mortgage Lenders Association. Cindy is an Iowa native who currently lives in Arizona. She loves spending time with her husband, daughter & son-in-law and especially her grandkids. She designs jewelry in her spare time.